In the course of one’s role as a caregiver, there are many moments of pain and trauma experienced by the caregiver in witnessing the decline and losses of their loved on. This is often an area that people tend not to discuss. The following piece describes how many caregivers suffer from a form of PTSD. Courtesy of Dr. Judy Stone Dr. Judy Stone’s mother, Maggie, and her daughter, Heather. Recently, I spoke at length to a physician who seems to have suffered a form of post-traumatic stress after her mother’s final illness. There is little research on this topic, which suggests that it is overlooked or discounted. But several experts acknowledge that psychological trauma of this sort does exist. Barry Jacobs, a clinical psychologist and author of “The Emotional Survival Guide for Caregivers” (The Guilford Press, 2006), often sees caregivers who struggle with intrusive thoughts and memories months and even years after a loved one has died. “Many people find themselves unable to stop thinking about the suffering they witnessed, which is so powerfully seared into their brains that they cannot push it away,” Dr. Jacobs said. Flashbacks are a symptom of post-traumatic stress disorder, along with feelings of numbness, anxiety, guilt, dread, depression, irritability, apathy, tension and more. Though one symptom or several do not prove that such a condition exists — that’s up to an expert to determine — these issues are a “very common problem for caregivers,” Dr. Jacobs said. Dolores Gallagher-Thompson, a professor of psychiatry at the Stanford University School of Medicine who treats many caregivers, said there was little evidence that caregiving on its own caused post-traumatic stress. But if someone is vulnerable for another reason — perhaps a tragedy experienced earlier in life — this kind of response might be activated. Dr. Judy Stone, the physician who was willing to share her mother’s end-of-life experience and her powerful reaction to it, fits that definition in spades. Both of Dr. Stone’s Hungarian parents were Holocaust survivors: her mother, Magdus, called Maggie by family and friends, had been sent to Auschwitz; her father, Miki, to Dachau. The two married before World War II, after Maggie left her small village, moved to the city and became a corset maker in Miki’s shop. Death cast a long shadow over the family. During the war, Maggie’s first baby died of exposure while she was confined for a time to the Debrecen ghetto. After the war, the family moved to the United States, where they worked to recover a sense of normalcy and Miki worked as a maker of orthopedic appliances. Then he died suddenly of a heart attack at the age of 50. “None of us recovered from that,” said Dr. Stone, who traces her interest in medicine and her lifelong interest in fighting for social justice to her parents and trips she made with her father to visit his clients. Decades passed, as Dr. Stone operated an infectious disease practice in Cumberland, Md., and raised her own family. In her old age, Maggie, who her daughter describes as “tough, stubborn, strong,” developed macular degeneration, bad arthritis and emphysema — a result of a smoking habit she started just after the war and never gave up. Still, she lived alone, accepting no help until she reached the age of 92. Then, in late 2007, respiratory failure set in, causing the old woman to be admitted to the hospital, then rehabilitation, then assisted living, then another hospital. Maggie had made her preferences absolutely clear to her daughter, who had medical power of attorney: doctors were to pursue every intervention needed to keep her alive. Yet one doctor sent her from a rehabilitation center to the hospital during respiratory crisis with instructions that she was not to be resuscitated — despite her express wishes. Fortunately, the hospital called Dr. Stone and the order was reversed. It was a daily fight to protect her mother and make sure she got what she needed, and “frankly, if I hadn’t been a doctor, I think I would have been thrown out of there,” she said. In the end, when it became clear that death was inevitable, Maggie finally agreed to be taken off a respirator. But rather than immediately arrange for palliative measures, doctors arranged for a brief trial to see if she could breathe on her own. “They didn’t give her enough morphine to suppress her agony,” Dr. Stone recalled. Today, she works part time seeing patients with infectious diseases on an as-needed basis in various places — a job she calls “rent a doc” — and blogs for Scientific American about medical ethics. “I tilt at windmills,” she said, describing her current occupations. Most important to her is trying to change problems in the health system that failed her mother and failed her as well. But Dr. Stone has a sense of despair about that: it is too big an issue, too hard to tackle. I’m grateful to her for sharing her story so that other caregivers who may have experienced overwhelming emotional reactions that feel like post-traumatic stress realize they are not alone. It is important to note that both Dr. Jacobs and Dr. Gallagher-Thompson report successfully treating caregivers beset by overwhelming stress. It is hard work and it takes time, but they say recovery is possible. I’ll give a sense of treatment options they and others recommend in another post. The following is a nurse’s description of her experiences with the dying and their regrets. Notice how people’s regrets tend to be areas of growth that a person never fully realized. The new brain scan for Alzheimer’s: what’s early certainty worth? Here is an interesting ethical dilemma to consider in the near future. Would you want to know if you were predisposed to Alzheimer’s? Would knowing for certain if you had a diagnosis of Alzheimer’s make a difference in how you choose to live the rest of your life? Here is a post that poses these and other questions on the subject. Last week the NY Times story on a new scan that identifies Alzheimer’s in the brain caught my eye, and probably caught yours too. What is the benefit of this test, wondered my colleague Alex Smith in a recent Geripal post, and is it worth the cost? What is the value of “knowing for sure — period”? What’s causing this cognitive impairment? The new brain scan, obviously, doesn’t answer many of these questions, nor does it directly lead to better dementia care for patients and families. So although usually I’m a less-is-more kind of clinician, I find myself conflicted about the scan. What about the rest of you? I’m especially eager to hear thoughts from the other clincians who are diagnosing dementia in the outpatient setting. Should I Make My Partner Go to the Hospital? One of the most difficult subjects in regards to suicide and suicidal ideation is the issue of whether one can try to have a loved one temporarily hospitalized as a means of preventing suicide in someone who is at potential risk. The challenge lies in various legal and ethical issues. In the below piece, one doctor offers his advice to those dealing with the question of hospitalization. I was recently faced with the dilemma of whether or not my wife was a danger to herself and others, and whether or not to take her to the emergency room as a psychiatric emergency. Are there any guidelines or suggestions as to when its best to take a loved one to the hospital? This is one of the challenging issues in all of psychiatry — both practically and ethically. So I can only attempt to address it in a most preliminary fashion. The easy answer is: call your wife’s psychiatrist. I believe that all physicians should have a system to be available in the case of possible emergency. That is a fundamental ethical principle we are taught in medical school. Every patient and family should be familiar with how to contact the psychiatrist in the case of emergency. One of the most common reasons psychiatrists are reached in an emergency is to consult on just this situation — whether or not a person should go to an emergency room (ER). As a part of residence training, all psychiatrists have extensive experience with this scenario. What if the doctor can’t be reached or if there is no psychiatrist on the case … yet? The primary concern is safety — hers and yours. If there is any question that your wife is unable to control her behavior to maintain safety, it is reason enough to have an evaluation in the ER. Safety includes considerations of violence to self and others, as well as other kinds of safety such as fire safety, fall risk, or medical risk. A diabetic who is refusing to eat, a person with unstable hypertension who is highly agitated, a person who has fallen into an unmoving catatonia and isn’t acting to take care of his basic needs, a person who environment has deteriorated to a fire or health hazard: these are all examples of various cases from my own clinical experience that have been appropriately brought to the ER. So, if the doctor says go — go. If you feel there is a risk of harm afoot — go. A final consideration in your decision: if someone has never been in for treatment, an ER evaluation can open the door to mental health treatment, and is sometimes the only first step a person is willing to take. Therese J. Borchard is the author of Beyond Blue: Surviving Depression & Anxiety and Making the Most of Bad Genes and The Pocket Therapist: An Emotional Survival Kit. Write to her at comment@thereseborchard.com or follow her on Twitter @thereseborchard. Here is part two from the previous post as the author of the article below continues discussing CPR in the elderly. I’ll confess I was startled to learn, after too many episodes of “ER,” how rarely cardiopulmonary resuscitation succeeds in restarting someone’s heart. The rate of long-term success is probably about 20 percent, said Dr. David John, former geriatrics chairman of the American College of Emergency Physicians. “When your heart stops, it’s really hard to get it back,” he said. “Long-term success” has a particular definition here: It means that a patient, after cardiac arrest, survives long enough to be discharged from a hospital. Studies often don’t report what happens thereafter. But even that modest kind of success occurs less frequently in older people who receive CPR, declining slightly for those in their 70s, then more steeply for those in their 80s and 90s, several studies show. And like any other medical intervention, CPR involves its own risks. This can all seem very abstract to a healthy middle-aged person with no history of heart problems. But as people age, and increasingly cope with multiple diseases and frailty, the issue grows more urgent and more complex. The blunt question: Should a frail, elderly person receive CPR? In his 33 years as an emergency room doctor — mostly in hospitals in Maryland and now at Christian Hospital in St. Louis — Dr. David Davis estimates he has resuscitated 600 people. CPR, he likes to point out, was developed during the Korean War to help wounded soldiers — otherwise healthy young men — stay alive until they reached field hospitals. Doing chest compressions on fragile old people disturbs him. Afterward, he worries about the few old people he may have saved, about whether they will ever recover strength and function after days or weeks in intensive care. “If older people and their families knew all that was involved, the manipulation, the tubes, the drugs and the low chances for a good outcome, they’d opt for comfort care instead,” Dr. Davis said. He’s 66, and tattooed on his own chest is an informal advance directive: “Shock Thrice,” meaning that after three attempts at defibrillation, the team should stop resuscitation and allow him to die. But Dr. John, a 20-year emergency medicine veteran now practicing at Johnson Memorial Medical Center in Stafford Springs, Conn., argues that the risk of brain damage with CPR is small and can arise in patients of any age. He sees the pain of broken ribs as a small price for staying alive. This difference of opinion between two physicians who’ve saved hundreds of lives illustrates how personal these decisions are. For me, they recently became very personal. My father, who will celebrate his 90th birthday next month, has generally enjoyed good health, taking just one prescription, for diabetes – until July, when he had an apparently mild heart attack. He’s recovered well, thanks, and is back in his independent living apartment playing balloon volleyball and taking tai chi, though he’s now also taking a bunch of added drugs. Before, he was an almost-90-year-old diabetic, giving him extremely low odds of a successful resuscitation if his heart stopped. Now, he’s an almost-90-year-old diabetic with heart disease, and worse odds. We talked about what to do; he decided that he didn’t want to spend what would probably be his last moments swallowing tubes and having his ribs fractured. Other people will reach other conclusions. My father, cheerfully and without apparent angst, signed a DNR form last week. It’s taped prominently on his kitchen cabinet, where the paramedics can spot it. How Dare You Take A Mental Health Day?! Yesterday, I took a mental health day. I’ve had a lot on my plate lately, most of it dealing with an occupation-related transition, and about half-way through my first cup of coffee yesterday morning, I decided I needed a mental health day. Not many people knew about it simply because, aside from a few texts and a trip to Papa John’s (yes, Papa John’s – we’ll talk about that later), I didn’t really talk to anyone. The one person I did call, though, had an…interesting reaction when she found out. Don’t misunderstand – my friend isn’t clueless about mental health days or how important they can be. I think she just didn’t realize how stressed I’d been, and so she was surprised to learn I’d take an entire day off – a Monday, no less – in the midst of everything I have going on. Despite it being a day of rest, I was mindful during yesterday’s mental health day and plan to share some of what I learned later this week. In the meantime, share with us your thoughts about mental health days. Have you ever felt guilty about taking a mental health day? Have you ever felt the need to justify taking one? 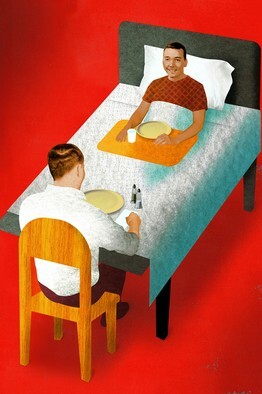 in hospice care, one of the most challenging parts is when we, the health care providers, face our own losses in life. These losses remind all of us of the realness of death and dying. One of my colleagues at the hospice I work for recently published a piece describing how she used her knowledge of caring for the dying to care for her son who was terminally ill. I am a hospice nurse, and I say that proudly. I feel so strongly about the work hospice does for patients and families that I received my certification as a hospice and palliative care nurse in 2006. Hospice works with a team approach (medical director, nurses, social worker, chaplain, aides and volunteers), providing patients and families the support and compassion they need to live every day to the fullest. People often associate hospice with dying, but hospice is about living — living every day we have with the best possible quality of life. I have explained this concept to so many patients and families, but I never expected someone to be telling me the same thing. Two weeks after my son Alex graduated high school, he was diagnosed with a germ cell tumor. 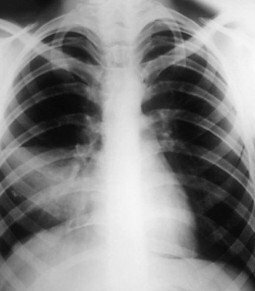 The diagnosis was even worse because the tumor did not start in the testicles, but in his mediastinum. It also had metastasized to his brain. As a nurse, I knew it was bad and we were in for a fight. As a mother, I wanted desperately to win. My husband, my son Brian and I knew we would do whatever it took to help Alex. Our journey took us to the Cancer Institute of New Jersey, Memorial Sloan Kettering and Hackensack Medical Center. We drove from New Jersey to Indianapolis to meet with Lawrence Einhorn, MD, one of the physicians who cared for Lance Armstrong. Brian even became a stem cell donor for his brother. In the end, 17 months later, the cancer was too aggressive and we were told it was time for hospice. 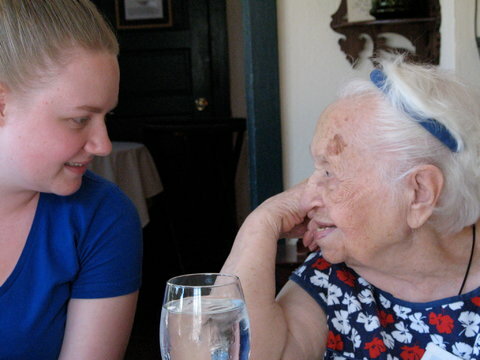 In my practice, my patients typically are 80 to 90 years old. Alex was only 19. I thought I had to figure out how to separate being a mom from being a hospice nurse. Then I realized this wasn’t something I should do. I needed to make every day Alex had comfortable and symptom-free, but also to continue loving him like only a mom can. We had a hospice nurse, Elaine, who understood my thinking and helped me fill this dual role. As a nurse, I managed Alex’s pain and anxiety and placed him on oxygen when needed. As his mom, I slept in his bed with him every night, never leaving him alone. My husband and I cared for him together, bathing him, feeding him and most important, just being with him. I am grateful that my knowledge as a hospice nurse allowed me to keep him comfortable. 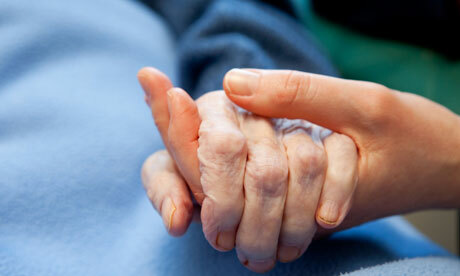 The hospice philosophy involves living with the best quality of life until the end. A week before Alex died we went as a family to Nathan’s in Coney Island, Brooklyn. It was something we did at least once a year as a family. Alex was so happy that day. We packed up everything — oxygen, walker, wheelchair and pain medicine. Alex ate a chili bean hotdog that day. It is a memory I always will keep. Alex was home with hospice care for exactly three weeks. He was surrounded by his family in the home in which he had grown up. He passed away Nov. 19, 2010, with his brother, father and me holding him in our arms. Elaine understood our need to be alone as a family and told us to call her when we were ready. I am grateful for her understanding. Although life never will be the same, and even now the pain has not diminished, I find comfort knowing Alex died peacefully. During the three weeks he was home on hospice we were able to provide him with the best possible quality of life.